"WARNER OLAND, 57, SCREEN STAR, DIES"
So said the New York Times on Sunday, August 7, 1938. But the public actually knew little about the man who had come to be known as "Charlie Chan" in the movies. Prior to his death, interviewers had noted how few interviews he gave and how even his studio seemed to know little about him. Oland, who adopted a Chan-like manner even when away from the cameras, had said "Words like sunbeams, when concentrated can burn." So, who was the man behind the affable grin and soft philosophical manner? 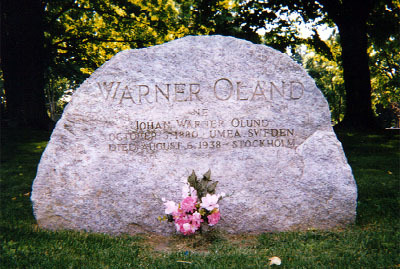 Warner Oland was born in Sweden. His birth year is usually given as 1880, even his headstone states that, as does his 'New York Times' obituary and various other sources. My research indicates that it should be October 3, 1879; the 1890 Swedish census confirms that. He was born Johan Werner Olund and I'll try here to paint a picture of that day in the Olund household when the census taker knocked on their door. The Olunds resided, according to the records, in the parish of Bjurholm in the county of Vasterbotten, near Umea on the Gulf of Bothnia, about two-thirds of the way up the Scandinavian peninsula. (A pretty cold part of the world, so I'd guess they would have to do a census in the summer months.) The Olund household, on that day in 1890, consisted of the father, Jonas Olund, 44 years old at the time, and his occupation was listed as "skogselev" (which roughly translates to "woodsman" or "forester" of some kind). His wife, Maria Johanna Olund (nee Forsberg), was ten years younger, and they were probably married around 1877 based on the birth date of their first son, Jonas Arvid Olund, in 1878 (listed as 12 years old in the 1890 census). Number two son was our future Charlie Chan, Johan Werner Olund, who was probably a little short of his 11th birthday. Yet another son, August Albert Olund, was born in 1884, and one more boy, Carl Gunnar Olund, in 1888, and so they were six and two years old respectively on that census day. Quite a male dominated little household except for a 16-year-old girl listed as also living with them, Maria Amanda Andersdottir, whose occupation was listed as "piga" or maid. The Olunds must have been a little more affluent than average to be able to afford even a young maid. Also, just two years after that census they emigrated to the United States. There was a lot of emigration from Sweden to the New World at that time and most seem to have headed to Minnesota. But our little band seems to have ended up in Boston because we next hear of Warner Oland graduating from high school there. Just what adventures the family had experienced in the intervening years can only be imagined, but when he stepped ashore in the U.S. our Warner was about 12 years old and unlikely to have any English language skills coming, as he was, from a small northern Swedish town. However, Oland must have made rapid progress, because after leaving high school he enrolled in Dr.Curry's Dramatic School with a future before him of speaking English on stage for a living. It was during a backstage tour of a production of "The Christian," by a group of the drama school students, that Warner made contacts that led to him eventually being offered the role of Jesus in that play. The role required both singing and acting...all for $18 a week. This was the beginning of his stage career and for the next fourteen years he was on the road all over the country, and abroad, including Broadway. It was during this stage of his career, in 1906, while touring with a Shakespearean company, that he was spotted by renowned actress Alla Nazimova, who recruited Oland for her own troupe, performing works by Henrik Ibsen. After this, he used his savings for his own production of his translation of "Peer Gynt." This was a considerable success and Warner became, temporarily, relatively well set financially. It was while acting in a performance of "Peer Gynt" in Boston (some sources say New York City) that Warner Oland met Edith Gardner Shearn, a member of an old upper class Boston family. Years later, in Hollywood magazine articles about their meeting, she was referred to as "a young art student, fresh from the studios and salons of Paris." In fact, when she met Warner in 1907 she was 37 years old to Warner's 27 years. She had just finished writing a one-act play titled "The House of a Traitor," and was backstage arranging for its presentation, when she was introduced to Warner Oland. The two intellectuals hit it off immediately. Edith was, in addition, a portrait painter of note and offered to paint Warner's portrait (the first of many). He also went to her studio to watch rehearsals of her playlet. Within three weeks the pair were engaged to be married. Not everything was rosy though; his next theatrical project was a failure, and his profits from "Peer Gynt" evaporated. Warner's first taste of the movie business came in 1910 in a one reel version of "Pilgrim's Progress," but the little film and all other details of its making are lost. Around the same time Warner and Edith were busy in a joint project translating some of the plays of Swedish playwright August Strindberg. 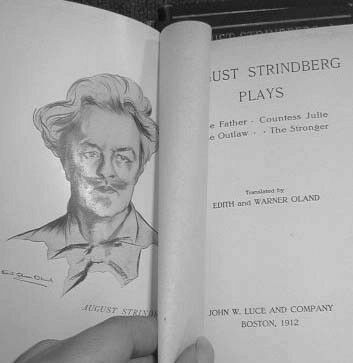 Edith even learned the Swedish language for the project, and the resulting body of work, "August Strindberg Plays," was published by John Luce and Company of Boston in 1912. Warner Oland's first MAJOR foray into film came in the Theda Bara movie "Jewels of the Madonna" (also known as "Sin") as an Italian gangster type, Pietro, shot in Ithaca, New York (The movie that is, not the gangster!). This movie had its U.S. release on Warner's 36th birthday, October 3, 1915. His first detective role seems to have been in the 15-part serial "Beatrice Fairfax" in 1916, also shot in Ithaca, which was a thriving little movie-making center prior to Hollywood's emergence. His other roles around that time were mainly of ethnicly European types. But it was in the 1917 Pathe serial "Patria," in the role of the Japanese Baron Huroki, that he first donned an Oriental movie persona, and a villainous one at that. The serial was somewhat controversially xenophobic, with Japanese and Mexicans portrayed as plotting the downfall of the U.S. This was during World War I, and since the Japanese were on the Allied side in that conflict, it led to President Wilson writing to the distributors of "Patria," asking that it be withdrawn from exhibition. Warner Oland as Baron Hiroki in "Patria" (1916). 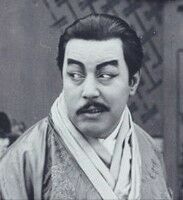 Warner Oland must have made an impact as an Oriental, because in the years to come he would be called upon to play many others, such as Wu Fang in 1918's "The Lightning Raider," Li Hsun in "Mandarin Gold" in 1919, Okada in "Pride of Palomar" in 1922, Fu Shing in "The Fighting American" in 1924, Shanghai Dan in "Curly Top" also in 1924, among others. He played many other character roles in between these of course, becoming a Frenchman or a Spaniard or a Indian Maharajah. In several of these roles he was a menace to Pearl White in cliffhanger serials, and in an odd, movie-like, coincidence, she died in Paris of cirrhosis of the liver just two days before Oland's death in Stockholm, Sweden. Somewhere during these acting assignments Oland must have made the move with his wife to Hollywood, leaving his east coast professional and family roots. His first speaking role in a movie was a single word, in the movie regarded as the first talkie, "The Jazz Singer" in 1927. His start in talkies was, oddly enough, the word "STOP!" spoken as Al Jolson's father in reaction to Al's "Jazz Singing." From disapproving Jewish patriarch he then went into his other major Oriental role other than Chan: that of Fu Manchu, where he got to dispose of his enemies in a variety of nasty ways. 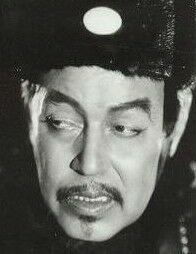 He played Fu Manchu in movies made between 1929 and 1931. 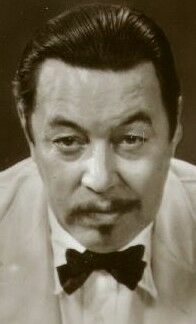 Warner Oland as Fu Manchu, circa 1930. During these late silent and early talkie days, there were a couple of attempts at Charlie Chan movies using real Asian actors: Kamiyama Sojin in the silent "The Chinese Parrot," and E.L. Park in the early talkie "Behind that Curtain." In the latter movie, however, Chan's part was very brief and at the end of the film. So, when Fox wanted to bring the character of Charlie Chan back to the screen, who could they point to who had been playing Oriental roles on screen for some 13 years? Warner Oland, of course, and so they put in the call that started his involvement as Chan. Oland during a make-up session. 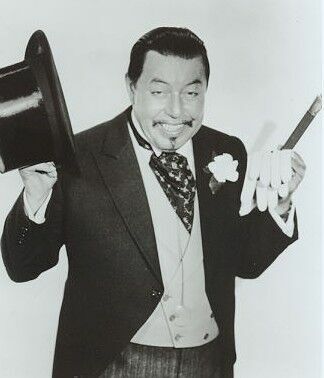 Warner Oland first appeared on screen as Charlie Chan in "Charlie Chan Carries On," in 1931. The story line has Charlie's friend from Scotland Yard, Inspector Duff, on the trail of a murderer among a group on a world cruise. (It seems the police departments in those days were liberal in their detectives' budgets, AND seemed OK with their best guys meandering around the world!) 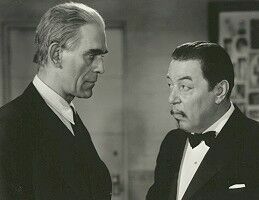 Duff gets wounded in the course of the investigation and "Charlie Chan Carries On" with the investigation, although he doesn't make an appearance until about half way into the movie. It's as if the studio still wasn't sure about how popular an Oriental hero might be. However, the film was an immediate hit and studio research showed that Charlie's character, as portrayed by Oland, was the main asset of the movie. So with the next Chan movie, "The Black Camel," Charlie was in the thick of it from early in the story. "Charlie Chan Carries On" (1931). The studio's confidence in the format is evidenced by the fact that they allowed "Carries On" director Hamilton MacFadden to shoot the movie on location in Hawaii, with all the extra expense and possible production problems that meant. 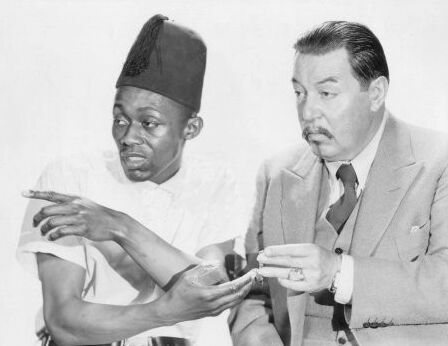 (Warner Oland was paid $10,000 for his role in "Carries On," but got a pay rise to $12,500 for "Camel" and subsequent Charlie Chan movies up to "Charlie Chan at the Circus" (1936), when he finally got the $20,000 a movie he had been asking for since "The Black Camel.") The next three movies emerged slowly, "Charlie Chan's Greatest Case" in 1932, again with Hamilton MacFadden directing, followed by "Charlie Chan's Chance" in 1933 and "Charlie Chan's Courage" in 1934. ("Carries On," "Greatest Case," "Chance" and "Courage" are all lost movies without any prints known to exist.) 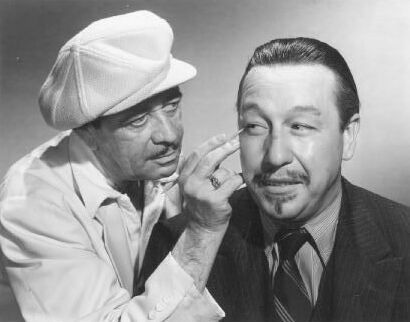 During these years, Warner Oland was playing other roles as well, and it must have been rewarding time for him professionally. The rewards of his career allowed for a comfortable, if not a lavish, lifestyle. Edith and Warner Oland traveled widely between movie assignments. They were not "Hollywood types," never being seen in nightclubs or otherwise doing the rounds of the Hollywood set. Edith Oland was by all accounts a lady with a strong personality, described variously as "electric," "terrific" (used in its 1930s context meaning "awesome") and "more energy that I've ever seen in a woman." At the age of 67 it was said that she "could throw a stone further than any woman"! All of this gives the picture of Edith being the boss at home. An article in 1937 referred to the colors of the "two bedrooms" in the Olands' house, inferring they had separate rooms. The article also mentions Warner's trouble sleeping and his habit of getting up at night and delving into his private stock of Swedish sardines, kept in his wardrobe. He would sit out on the verandah in his pajamas looking out over the sea, listening to Bach on his phonograph and snacking on sardines. Also, he and Mrs. Oland would swim every morning in the sea near their house and Warner could be found on his off duty days sitting out in the sun "like a bronze Buddha, in sunglasses and a straw coolie hat." Warner Oland during the mid-1930s. Although the Olands didn't have any children themselves, Warner certainly seems to have enjoyed their company. Visitors' children could expect to hunt sea shells with him on the beach and be treated to little performances of the "Princess Ming Lo Fu" song that he sang as Chan in "Charlie Chan in Shanghai." He would also dress up in one of his oriental robes and do samurai routines, using spoons for swords and intoning gibberish in a singsong voice! A story is told about an incident on the location shoot of "Charlie Chan at the Racetrack." Warner and Keye Luke had swiped some of the fireworks from the Chinese laundry van that was due for an explosive end as part of the storyline. The pair were found staging an impromptu fireworks display for local children, the noise of which was spoiling scenes the crew were trying to shoot! His fondness for children is shown also in his provision in his will for nieces and nephews back on the east coast. Warner and Edith shared a number of properties but mainly seemed to live in a Cape Cod-style home in the Carpenteria Valley near Santa Barbara named Rincon Del Mar, facing the sea. The property had various fruit trees growing on it and in sufficient abundance for the lemons alone to bring in $60 to $80 a month via an arrangement with a commercial packing house. They also had a stately house in Massachusets and 1,000 (some sources say 7,000) acres on the island of Palmetto De La Virgin off Mazatlan in Mexico. There also seems to have been a small apartment that Mr. Oland used in Hollywood when shooting a movie. The Oland household consisted of Mr. and Mrs. Venedetti, the gardener and cook, as well as Milton Thorpe the chauffer, who also doubled as the answerer of Mr. Oland's fan mail! There also seems to have been at one time, Belle, the Scottish maid. (It seems to have been a remarkable egalitarian household with the help being taken to concerts of classical music along with the Olands) However, Warner Oland had neither a valet at home nor a dresser at the studio, looking after his own clothes. There was also Mrs. Shearns, Oland's elderly mother-in-law who had a bungalow in the grounds of the property, with her own caregiver and servants. A third building on the property was used as an art studio. Add to this group the herd of German Schnauzers led by Shaggety Ann ("Shags") and her four offspring: Countess Julie, Mr.Chan , Princess Ming Lo Fu and Till Eulenspeigel! It seems he took #1 dog, Shags, on the set with him for companionship. "Charlie Chan at the Opera" (1936). Both of the Olands were artistic and intellectual by nature, both painted, with Warner's landscapes taking their place on the walls alongside his wife's more professional portraits . Edith called Warner "Jack" after is real first name Johann. And "Jack" had a real-life connection to the legal fraternity in that his brother-in-law, Clarence Shearn, was the former Chief Justice of the New York Supreme Court. However behind the calm philosophical exterior the world saw, was a problem that grew steadily worse. Warner Oland drank to excess, and it began to effect his work and home life. His lunch pail that he was in the habit of taking to the studio would contain two thermoses, one with split pea soup and the other "tiger tea" (martinis). In interviews years later, Keye Luke, his number one son in many of those Chan films from 1935-1937, referred to Oland's problem with alcohol. "Pop drank immoderately, at times he was really 'lit.' It made him benign, with a perpetual grin on his face. You couldn't help but love him." "Charlie Chan at the Olympics" (1937). But Warner's drinking got worse, effecting his work, and in "Charlie Chan at the Racetrack" he was found asleep in the track restaurant and had to be held up by extras for the scene by the racetrack rail so he wouldn't fall down. A nurse was assigned to keep an eye on his drinking during the shooting of "Charlie Chan at the Circus" in 1936. This "nurse" is referred to in several sources and seems to have figured prominently in Warner's last couple of years. Her name was Catherine F. Ryan, and she is referred to as a "secretary" in some sources and there will be more on her below. By 1936, Warner Oland was making only Chan movies, at the rate of three a year. They were each shot in four weeks with an extra week for re-shoots. The Fox "B" unit was a well-oiled machine, and the time from first shooting to release of the finished product was about three months. They made grosses of about $1 million each from a cost per movie of about $250,000. Oland got through production of his final completed Chan movie, "Charlie Chan at Monte Carlo," and it was well received by critics. About this time though, a picture of him appeared in newspapers showing him sitting on the running board of a car and throwing away his shoes, apparently while affected by alcohol. Keye Luke paid a visit to Warner at the Gardner home around New Year's and found him quite well, and waltzing to music from the radio! "It was a grand visit, it was good to see 'Pop' in such good spirits," he would tell an interviewer many years later. The two enjoyed a real friendship off camera. Oland was back at the studio on the 10th of January 1938 to start shooting on "Charlie Chan at the Ringside," but it was an unwell Warner Oland who stepped onto Sound Stage 6 of the Fox lot. Right from the start he was troublesome and the production went badly. He complained that the set was drafty and blew his lines repeatedly. He walked off the production several times over the next seven days and on the fourth walkout, on the 17th of January, the production was abandoned and Warner placed on suspension. Some $100,000 had been spent and the studio was threatening to sue Oland to recover it. His life was falling apart and he was found wandering the street one night unable to say who he was. By February he was in hospital for a month's rest and seemed to recover somewhat. He improved sufficiently for the studio to sign a new three picture deal with him at $30,000 a movie. "Charlie Chan at the Ringside" was hurriedly rewritten, by the "Ringside" screenwriter Charles Belden, as "Mr.Moto's Gamble," with Peter Lorre in the lead as Moto. The Moto movies were also made by the Fox "B" production unit. 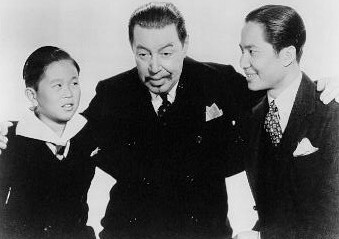 Keye Luke kept his Lee Chan role and his "father's" absence was explained away. The sets, some footage, etc. were salvaged and thus some $65,000 was recouped. The balance of $35,000 may have been waived as an inducement for Oland to agree to that new contract. All agreed Oland needed a break and he set off on a journey back to his roots in Sweden. ("Variety's" obituary says that Oland traveled by freighter.) He may have visited his brothers and relatives in New Jersey and Connecticut if he departed from New York. It is unclear what path he took back to Sweden but it may not have been direct since he had told Keye Luke he "longed to see once more the chestnut trees of Florence." By August 1938 though he was back in Sweden and the final curtain was about to come down on his life. Meanwhile, the Fox "B" unit was shocked by the news that their Charlie Chan was dead. Sol Wurtzel gave the crew the rest of the day off out of respect for Warner. Edith Oland continued to prepare for her trip to Sweden but it was now to see to the return of her husband's remains to the U.S. and to tidy up the loose ends he had left there. It seems here were considerable loose ends on both sides of the Atlantic. Warner Oland had made his last will and testament on the 11th of May 1937. In that he left all his worldly goods to his wife "Edith Shearn Oland." In the will, the amount of $50,000 was the estimate of the value of said worldly goods. (But how does this relatively small amount sit with the "1,000 acres on the Mexican island, house in Massachusetts, buildings and acreage on the coast near Santa Barbara"? 1930s creative accounting? Or were they in Edith's name or her own property?) The estate was eventually assessed for probate at $46,527.74, plus a few thousand in cash. Provision was made in the will for his relatives back east and here we get a glimpse of the Oland clan as it stood in 1937. Firstly they are all referred to as "Oland." It seems the whole family had adopted the spelling in the U.S., not just Warner for "showbiz" purposes. (Later death records for these relatives confirms the spelling, so it wasn't just a clerical assumption in an L.A. law office.) In the event of Edith having died before the will came into effect, it was Oland's intention to distribute the legacy to: "Carl O.[G?] Oland, brother, 80 Nilan Street, Hartford, Conneticut; Carl Warner Oland, nephew (minor), same address; Albert A. Oland, brother, Ewan, New Jersey; and nephew and nieces Paul, Elinore and Margaret Oland, Ewan, New Jersey." (These being the two younger brothers of Warner as we had seen in that Swedish census of 1890, and their offspring.) In the event of Edith's being still alive, these relatives were to receive $1,000 each. Southbouough Cemetery in Southbourough, Massachusetts. On arriving back in Hollywood she had to, as Warner's nominated executrix of his estate, start sorting through the claims that started to roll in. Jack Gardner, his agent and to whose home he had gone after leaving Edith, made a claim for $1,700 and, in company with his wife Louise, a further claim for $900. (Had they been counting every sardine Warner ate at their home!?) Edith rejected the claim. They sued, and she settled for about $1,200 total. Another curious claim came from Catherine F. Ryan. (Yes, the "nurse/secretary" referred to in several sources.) She had accompanied Warner to residence in the Gardner household, and now claimed $1,193.17, which she was granted in the final probate settlement. We can only speculate on what the basis of that claim was since it is inferred by all sources that she was a studio employee. Other claims were paid to "The Orient" (unspecified entity), for $864.05 and to someone called Vernon Snively for $110 (Why does that name inspire instant dislike!). During the settlement process Edith had had to sell $3,000 in Treasury Bonds plus stocks such as 100 shares of Standard Oil to meet expenses and settle claims. Another disputed claim was by a Dr.Eugene Jacques Usukor (sp.?) for $925. Edith refused, the Doc sued, and they settled on $400. Then the lawyers jumped in for a couple thousand dollars for services rendered in fighting these claims and the other disputes arising from the estate. All this took until early 1941 to settle. Thankfully Warner was past caring. Deacades slowly passed, and Edith, the tough little old Bostonian died in 1968 just two days past her 98th birthday. Milton, the Olands' loyal chauffer, passed away in 1980. So, why did Warner make so effective a Charlie Chan? To me, after this research, it was because he was himself a philosopher, a foreigner adapting culturally and linguistically to a new land and a gentle soul in a hard world. Warner, wherever you are, "Thank you so much."